Interaction has long been considered to be one of the key factors in language learning and teaching. Previous studies have investigated how interaction influences second or foreign language (L2) development in the language classroom; however, the nature of “interaction” itself is still elusive. This lack of a holistic picture makes it difficult to apply research findings in the classroom. Here, we attempt to clarify the system of the interactive language classroom, especially by applying a soft systems approach. First, we propose that interaction can be defined as a system consisting of the two core elements: tasks and participants. 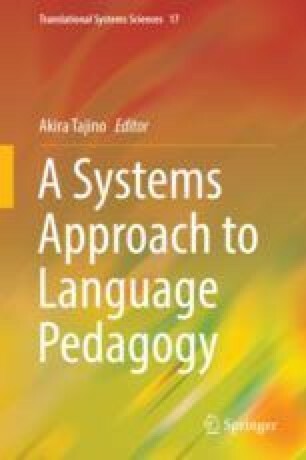 Assuming that language pedagogy is a human activity system, we argue that interaction can be viewed as something created through the negotiation of worldviews among the class participants. We then demonstrate how participants’ worldviews can affect decision-making processes in the classroom, specifically by exemplifying two core values of interaction: cooperation and collaboration. We believe that this attempt to understand interaction from a systems approach has the potential to help practitioners realize meaningful interaction in their own unique classrooms.